As we enter week four of the 2019 legislative session, we are officially halfway to our first major cut-off deadline. Bill introductions continue furiously, with over 1700 bills being introduced to-date. We expect several hundred (dare I say thousand) more before our first major bill cutoff, February 22. After February 22 all bills need to be out of their policy committee of origin, otherwise, they are considered dead. 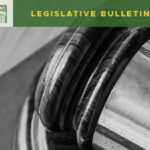 With so many bills out there and a deadline looming in the coming week, it means this week’s committee sessions are primarily dedicated to bill hearings. 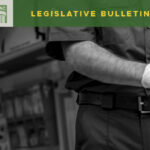 HB 1427, Rep. Morgan Irwin (R-Enumclaw), concerns county electrical illumination equipment. HB 1427 eliminates the $10,000 bid limit provision for electric illumination equipment, such as traffic signals and flashing sidewalk beacons. Kitsap County initially approached WSACE about pursuing this change. It’s companion, SB 5179, had a successful hearing two weeks ago and has been passed to the Rules Committee for consideration. This is good news because that means the Senate bill has cleared the first cut-off hurdle. I will be testifying in support of HB 1427 on Monday, February 4, in the House Transportation Committee. HB 1508/SB 5521, Rep. Jared Mead (D-Mill Creek)/Sen. Dean Takko (D-Kelso), codifies Connecting Washington funds to the County Road Administration Board (CRAB), the Transportation Improvement Board (TIB) and the Freight Mobility Strategic Investment Board (FMSIB). This is a major priority for these boards and WSACE will be supporting their efforts. HB 1508 is scheduled for public hearing in the House Transportation Committee on February 6, and SB 5521 is scheduled for public hearing on February 6, in the Senate Transportation Committee. SB 5011, Sen. Jim Honeyford (R-Sunnyside), establishes a Community Aviation Revitalization Board within WSDOT to make loans to airports for airport improvements. The loans will be particularly helpful for small community airports for revitalization. 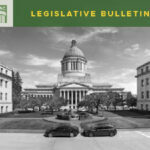 WSACE is supportive of this legislation. SB 5011 is scheduled for public hearing on February 4, in the Senate Transportation Committee. SB 5505, Sen. Steve Hobbs (D-Lake Stevens), concerns the local use of stormwater payments made by WSDOT. SB 5505 would limit where a local government could apply stormwater payments made by WSDOT. The bill would also require local governments to develop a plan for the expenditure of the charges for that calendar year. Local governments would be required to report progress on the use of charges assessed for the prior year, and no charges could be paid until the plan and report have been submitted to WSDOT. WSACE has significant concerns with this bill and will be sharing them with the sponsor and members of the Senate. SB 5505 is scheduled for public hearing on Tuesday, February 5, in the House Transportation Committee. 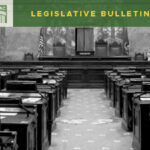 SB 5618, Sen. Keith Wagoner (R-Sedro Woolley), increases the small works roster for local governments from $300,000 to $500,000. WSACE is very supportive of this bill. SB 5618 is scheduled for public hearing on February 5, in the Senate Local Government Committee. SB 5673, Sen. Emily Randall (D-Bremerton), would allow WSDOT, local governments, and regional transit authorities to charge for vehicle and bicycle parking at park-and-rides. WSACE is supportive of this bill. SB 5673 is scheduled for public hearing in the Senate Transportation Committee on February 7th. Week four also brings with it the annual WSACE Professional Development Conference. This year’s conference again takes place in Cle Elum, WA at the Suncadia Resort. Renowned leadership coach, Kevin Eikenberry, will be the featured speaker all week. Mr. Eikenberry will lead sessions on leadership development, coaching and mentoring. We have record registration for this event and look forward to a great upcoming week.